Media isn’t just about TV and radio anymore. We’ve got so many gadgets and toys in our homes that it’s not uncommon to see a whole box or drawer full of remote controls in some homes. While some people are happy to control their media with a smart phone, Carbon Design Studio wanted to create something a little different. The Toggle is their creation, and it’s definitely unlike anything we’ve seen before. 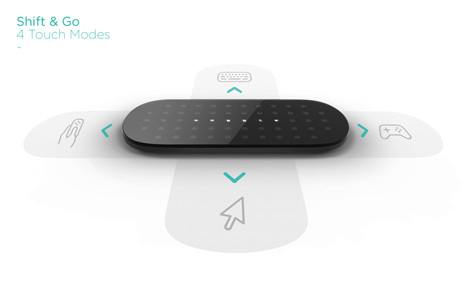 Rather than pressing a certain button to switch to a different mode, you click the “mask” up, down, left or right and the remote shifts into a new function. 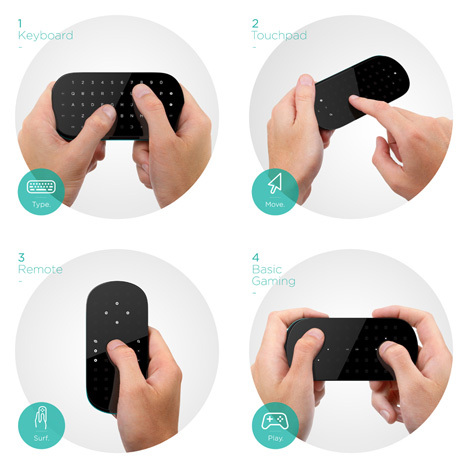 In this novel way, it can be used as a keyboard, a mouse, a TV remote control and a video game controller. 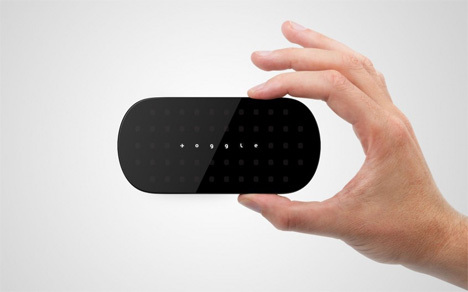 The base of the Toggle is a capacitive touch pad printed with a number of different characters and symbols. The top part is a moveable piece; when in the center, the Toggle is off. But when it moves in any of the four directions it enters a new mode. This physical clicking action as the fact moves around is much more satisfying than just pressing a “mode” key on a regular remote, and the fact that this one little device can do so many things is pretty great. But the best part is its slick minimalist appearance – it looks like a high-end cell phone but probably serves more functions than the actual phones many of us carry around. See more in Audio & TV or under Gadgets. November, 2011.